Summer at Herøy in Helgeland. Local people from all over Norway share their favourite travel tips. Ask Norwegians where you should spend your holiday, and you will get extremely diverse answers. That’s what happened when Visit Norway asked locals all over the country to flag their personal travel tips. The northernmost part of the country consists of highly varied destinations. Northern Norway can be revisited and rediscovered many times. Steigen is often said to be “like Lofoten, but without all the tourists”. Located between Bodø and Narvik, Steigen has many islands and islets that make the area ideal for kayaking. Mountain peaks both under and above 1,000 metres tall are well suited for hiking and climbing. In recent years, both Manshausen and Naustholmen have been turned into adventure destinations by Norwegians who bought the islands. On the northernmost part of the European mainland, you’ll find the Nordkyn peninsula. Wild nature, rare birdlife, and picturesque fishing villages are typical of Kjøllefjord, Mehamn, and Gamvik. The peninsula is well suited for hiking, skiing, and fishing in both salt and fresh water. Midway between the far more visited destinations Lofoten and Tromsø lies Senja, Norway’s second largest island. The Norwegian Scenic Route Senja runs on the outermost part of the island where the village of Hamn is also recommended to visit. The area of Vesterålen is situated just north of the Arctic Circle and is described as a varied, untouched and beautiful alternative to Lofoten. Vesterålen consists of hundreds of small and large islands with white, sandy beaches, jagged coastal mountains, and, of course, whales in the nearby sea. The raw and wild ​Varangerhalvøya peninsula is Norway’s largest of its kind and the closest you will come to Arctic landscape without leaving mainland Norway. A rare plant and animal life adds to the area’s rich Sami cultural heritage. The warmest and most stable weather usually occurs on the eastern side of the southern mountains, including the south coast between Mandal and Oslo. Even further north, summer temperatures are rather pleasant – sometimes reaching as high as 25 (°C) or more. You will find the highest temperatures inland. Along the coast, a cool sea breeze will often refresh you. However, the summer weather can also be wet and unstable. The middle of Norway means historical heritage and culinary delights. Trøndelag is emerging as a must-see destination. The island municipality Frøya on the Trøndelag coast has well over 5,000 islands of varying sizes, many of them equipped with traditional fishing villages. The Norwegian Scenic Route Helgelandskysten between Trøndelag and Bodø, also called The Coastal Route, leads you through 650 kilometres of coastal landscapes. 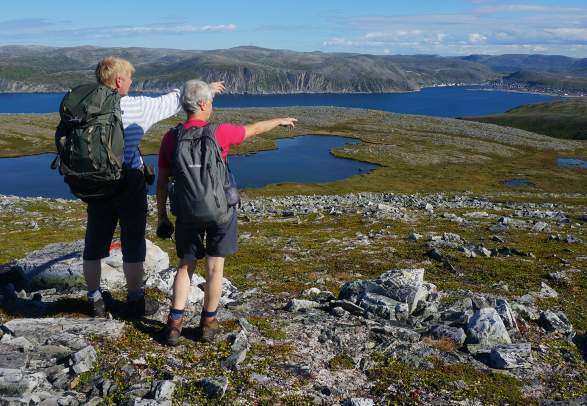 Both Namdal and Helgeland has many activities to offer, as well as vibrant small communities. The compact, wooden town of Røros is clinging to a wide-open mountain plateau. Once a hub for copper mining, Røros is a UNESCO World Heritage site and is certified as a Sustainable Destination by Innovation Norway. One of the world’s most popular destinations for nature lovers has a lot more to offer than you might know. The West Cape is a viewpoint on Mount Kjerringa on the Stad peninsula. At an elevation of 496 metres above sea level, Mount Kjerringa is considered to be Norway’s westernmost mountain plateau. Try island hopping in Bremanger, hike up to Europe’s highest sea cliff Hornelen, surf the waves at Vetvika Bay, or explore the monastery on the island of Selje. Lodalen valley in Stryn offers many cool activities. 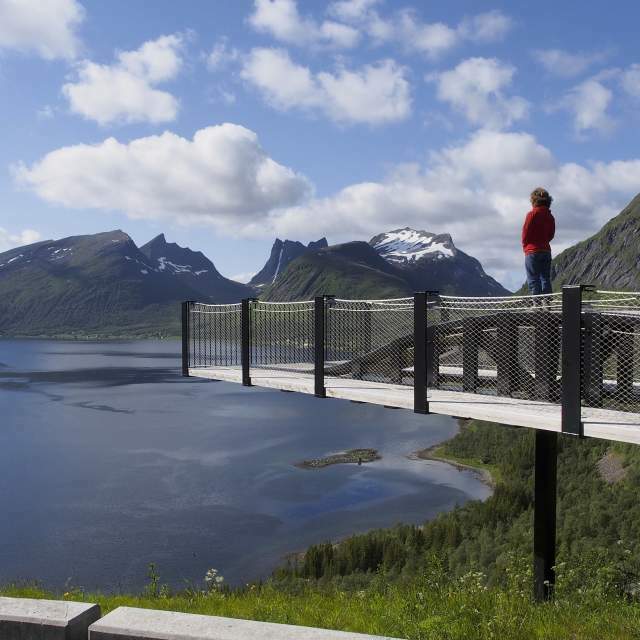 In five minutes, the Loen Skylift cable car takes you from the fjord to the peak of Mount Hoven. You can also climb a via ferrata to the top – or keep your feet firmly on the ground, in a swimming pool, or in a kayak down in the valley. Either way, there are plenty of ways to have fun in Loen. The fjord town of Eidfjord in Hardanger is a good point of departure if you want to see the Hardangerfjord, the Hardangervidda mountain plateau, and the impressive Vøringsfossen waterfall. Visit the Hardangervidda Nature Centre, go kayaking, biking, or hiking on a glacier, and dine at some of the many nice eateries along the way. Halsnøy monastery in Kvinnherad is the remains of an Augustinian monastery built around the year 1300. 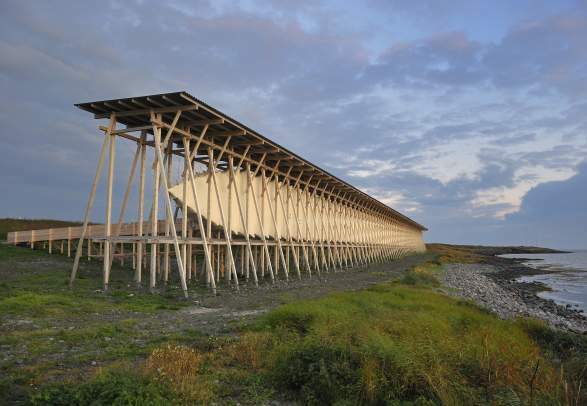 It is beautifully situated amid fjords and mountains with nice hiking trails, and has a small café and art exhibition. Blåfjella-Skjækerfjella national park in Trøndelag. The most populated part of Norway is still full of natural quietness. Eastern Norway manages to combine peace of mind with fun activities. During winter, Hemsedal mountain village is a wildly popular ski destination, and the lesser promoted summer season has a great variety of organised activities as well as many possibilities of hiking on your own. The Sølen mountain range in Hedmark has shallow waters along the shoreline, excellent conditions for paddling or hiking, an inland fishing village, and plenty of cultural heritage. 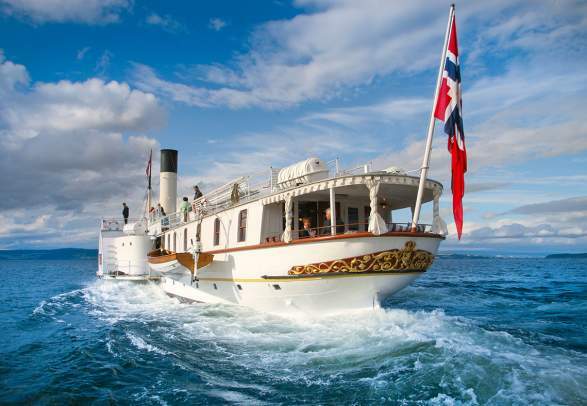 On Norway’s largest lake Mjøsa, you can take a trip with Skibladner, the world’s oldest paddle steamer still in timetabled service. The hospitality and culinary traditions of the large farms around the lake are amongst the area’s other treasures. “An idyllic piece of the Drammensfjord” is one description of the small town of Holmsbu in Hurum. ​Holmsbu Art Gallery, located inside a forest, is one of several local galleries, cafés, and restaurants in the area. The sloping landscapes of Hadeland offer the Hadeland folk museum, a pilgrimage route, and beaches with canoe hire. At Granavolden you can visit the sister churches Søsterkirkene, Glasslåven arts centre, and the Saint Petri church. Femundsmarka national park is all about untouched wilderness with numerous rivers and lakes and is far lesser crowded than other hiking areas. Helvete Nature Park is known to have Northern Europe’s largest potholes. Try walking into the “hollows” that were shaped towards the end of the last ice age some 10,000 years ago. For those who love Norway, the southernmost part of the country is a fresh and exciting discovery, especially in summer. The area of Lista at the southernmost tip of Norway has long, chalky white beaches, ideal for surfing, windsurfing and kite surfing. The area has several cultural monuments including the lighthouse of Lista, which was once the world’s largest of its kind. There is no need to wait until you’re here to find out what you’d like to do when you are in Norway. Filter your search and check out the offers below.